Today at Anime Expo 2014, Harmony Gold announced their plans to bring back classic 80s anime Robotech via Kickstarter. 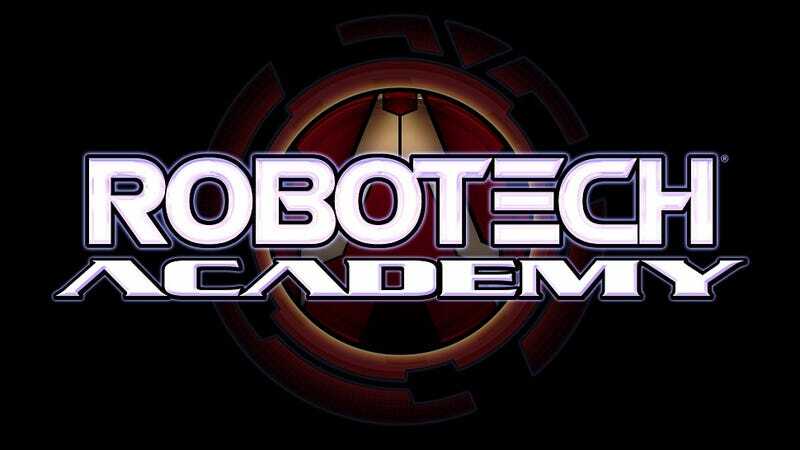 In 2008, Robotech creator Carl Macek (i.e., the man who took three completely unrelated anime and turned them into a single, coherent, multi-generational sci-fi epic) came up with the idea for a new Robotech animated series: Robotech Academy. Unfortunately, after working on the project in secret for two years, Macek passed away. But now, armed with Macek's notes, outlines, and even some partially completed scripts, Harmony Gold is looking to turn Macek's unfinished project into the series he dreamed of. The plan is simple. Harmony Gold is asking for half-a-million dollars on Kickstarter to produce a 22-minute pilot episode for Robotech Academy. To learn more about the proposed series, I sat down for a little chat with the series’ acting director, Tommy Yune. Thus, Robotech Academy follows the children of the original generation of heroes—the best and brightest humanity has to offer—as they attend the Robotech Academy, located far from the front. But with the future of the Robotech Expeditionary Force all gathered in one place (both in personnel and technology), the Academy turns out to be an inviting target—especially once the Academy ends up trapped in deep space, far from where it's supposed to be. But just because the main cast is made up of new characters, that doesn't mean you won't get to see some familiar faces. “We'll have cross generational characters; but because it's in a different timeframe within the Robotech universe, some of them will look different—some will be significantly older and some of them will be younger,” Yune told me. The $500,000 goal of the Kickstarter will cover the complete design and production costs of Robotech Academy's pilot episode. Any funds raised beyond the original goal will go directly into producing more episodes. And as much of the setting art, mecha models, and character designs can be reused from episode to episode, subsequent episodes will cost less to produce than the pilot's half-a-million. This also ties into one of the main reasons for doing the new series via Kickstarter: getting as much of the story out there as it was intended and thus performing preemptive damage control against future studio or network executive meddling. “The fans know what Carl is about—they would be directly supporting Carl's vision and this would allow us to really stick creatively closer to what Carl had in mind,” Yune explained. For more information on Robotech Academy, check out its Kickstarter page.